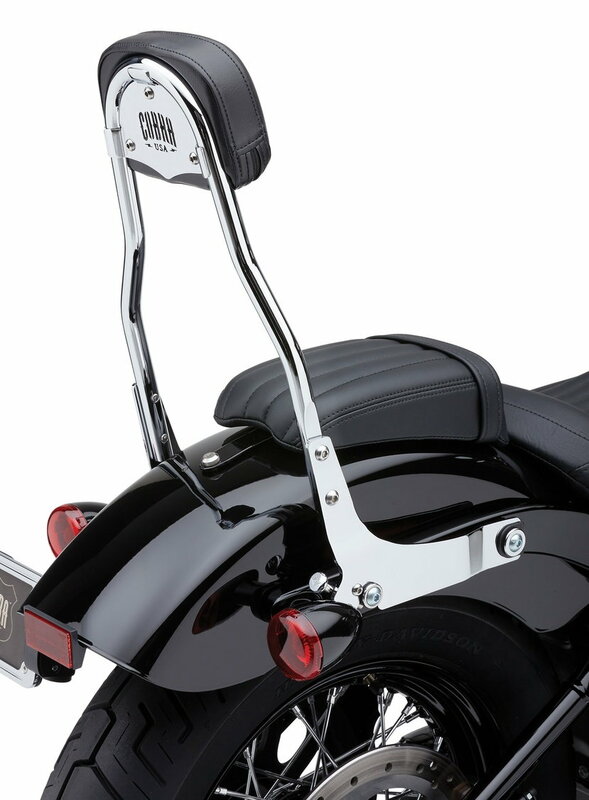 Anyone know a good chrome, tall sissy bar brand for 2018 Softail Heritage? Prefer detachable as current short one is detachable, and would like it also to take back rest and luggage rack. At the moment, we do have a set of Cobra detachable round sissy bars that'll fit that machine. And, unlike some variants out there, you won't need to move the turn signals to use the kit. Currently, it's not listed on the website, but if you were to give Brandon a call on 888.575.6570, he'd be able to get you sorted out on one. Looks good. I’m based in Northern Ireland. Is shipping possible? Yes, we can certainly get you sorted out!